⇒ Machine Tags: They live! They live!. Machine tags are not RDF. But they could play RDF on television. ⇒ ActiveRDF – RDF object mapper for Rails. Everybody’s talking about it, anyone using it? My original desire was driven by the desire to build playlists by mood, or theme (‘electronic’, ‘sensual’, ‘dark’), but since then Pandora has launched and showed us another set of axes to explore (‘mild rhythmic syncopation’, ‘extensive vamping’). I think the ability to hang a variety of arbitrary data off of the MusicBrainz model would kill CDDB deader then a stake through the heart, and at the same time creating a platform where its easier to collaborate in public then in silos. Tagging is just the first, easiest to under form that might take. Got to use all that lovely RDF to some purpose! Tom’s Phonetags is useful prior art. 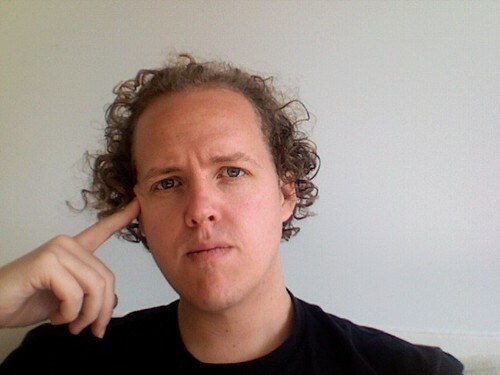 ⇒ Kendall Clark: Semantic Rails, Semantic Django: Pushing RDF into MVC. ⇒ Yahoo is hiring SemWeb/RDF heads?. Interesting. Congrats Dave. Hope they let you keep cranking on Redland. ⇒ de hÃ“ra: Automated mapping between RDF and forms, part I. ⇒ RDF was the LSD of the 90s. ⇒ Bill de hora is playing with Django. Nothing quite like spending an afternoon sketching out database schemas for lists of heterogeneous, extensible objects to give you that familiar, sinking feeling of re-inventing RDF…badly. And nothing quite like surveying the state of RDF for scripting languages to convince you to grimly knuckle down to your schemas. If I were a Semantic Web booster, looking for a project to hack on/fund, I’d pour some resources into making a replacement for ActiveRecord.rb to make it simple to build Ruby on Rails apps with a triple store back end. Catch the wave of hype/buzz, appeal to a community consisting of some of the savviest, most cutting edge web developers, and maybe pick up a few hints along the way about making tools developer friendly. Done well, it would be a very compelling alternative to LAMP(R). Call it R-Cubed, or maybe Triple-R.
⇒ Sparta.py 0.6: RDF Made Easy. Life has a been a little crazy (diagnosis: monomaniacal) of late. If I haven’t gotten back to you since around June 25th it isn’t personal, if I have, you’ve been lucky. Among the many items piling up in my inbox, have been RSS/Magpie/RDF links. Here is a dump. rss2jabber is a wicked cool script for sending out RSS updates over Jabber. Haven’t played with it extensively, but the possibles uses boggle the mind. RSS-WML is a RSS feed viewer (aggregator) for WAP devices. Requires PHP, and MagpieRSS. Jo wins the “making RDF accessible” award of late with Class::RDF, a CDBI based triplestore, and RDF::Simple. I think there must be something about England that encourages Perl coding, be it climate, or culture. In the Magpie coming soon (I promise, really) department, Steve’s character encoding patches, a patch from Glen Davies adding support for fetching RSS via authenticated proxies , improved documentation courtesy of firetrap, and an update of the recycle code to work with the latest and greatest FoF from Ernie Oporto. I didn’t realize DOAP wasn’t out when Jo was proselytizing it at the Aspiration convergence earlier this month. If I’d know that I’d have jumped on it, you know be one of those early mover cool kids. Now it is released, with a web page, and a OSCON session + Danny O’Brien write up. My initial feedback is that we’ve got to stop being so damned cute with our naming if this stuff is going to get wide adoption, FOAF, LOAF, DOAP, come on! ⇒ Chumpologica – an RSS feed combiner. You know the one persistent meme in all these RSS debates is that RSS 1.0 is somehow a “RDF technology” and therefore complicated and hard. I never understood that. I’ll be the first to admit I don’t entirely grok the RDF/Semantic Web big picture, and even less the processing model for working with RDF, but so what. RSS 1.0 is just XML, how its hard to parse, or hard to produce I can’t imagine. At one point in the debate RSS 1.0 was supposedly difficult because of the namespaces, and I grant you that supporting namespaces well is harder then not supporting them. But if someone could explain to me what makes RSS 1.0 harder then RSS 2.0 I would dearly love to know.